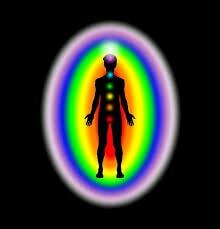 Auras are the energy fields that surround our bodies. They are part of a person’s subtle energy body, which also includes the chakras – the focal points used in a variety of meditative practices. Around your physical body are various layers of energy bodies. These bodies are believed to be just as real as your physical body, except that they are made of electromagnetic energy. Your entire set of energy bodies, in totality, makes up your aura. An aura is a natural part of your being and reading an aura is natural as well. However, to best understand and read auras, it takes a good deal of study and practice. An aura reading is essentially a picture using human aura photography that can give you deeper insights into general well being and a energetic harmony. A trained and experienced aura reader will know how to determine your aura and will be able to easily see the various dynamics of your energy centers and aura. In vital and healthy people, the chakras and auras spin and flow freely. In an aura reading, the experienced reader will make you aware of these blocked aura areas. And when you are able to see these, it gives you the choice to take steps toward relieving these areas. This allows for the better flow of energy, giving you the freedom to grow. During the course of a reading, the aura reader will first clear all energy in their own space. This helps create a more neutral environment, allowing them to be more clear and concise in their reading. The expert will then exactly communicate what they see. While they use words in the communication, mental imagination will also likely be used. This is the point when you can begin to become aware of all the emotions that emerged from the original event, regardless of how long back in the past it occurred. While there are a number of benefits to getting an aura reading, it’s important to consult a skilled and experienced aura reader. They will commonly provide various insights into the human energy and are passionate about introducing people to their internal creative universe. A reputable reader may use advanced aura reading equipment to take the photographs, so you get a very clear visual idea of what your aura looks like. In addition to the reading, someone with experience will commonly be able to provide insight into how to perform an aura cleansing. The insights the aura reader provides will help you connect with yourself and focus your energies and attention on improvement.